If you’re looking for the very cheapest place to travel in the world is, Nepal is certainly close to the top. It was one of the cheapest places to travel the first time I landed there in the mid-90s and it still is today. Looking back at my notes from those days, it’s surprising how few things have gone up. (Back then I was writing down prices just because I was amazed, not because I had any plans of putting out a book.) The actual prices are the same, not the inflation adjusted ones. There are a few exceptions—beer prices being the main bummer—but Nepal is definitely a place you can stretch your budget a very long way. Here are actual prices from Kathmandu, Pokhara, and trekking in the Annapurna region, staying at tea houses. Prices are in U.S. dollars at the rate of $1 equals 100 rupees. No matter where you stay in this country, you won’t pay much for a room. You’ll nearly always have solar hot water and internet, though in the mountains you’ll give up both sometimes or pay a buck extra when available. It’s a bargainer’s market in the off season. If you’re a vegetarian and you don’t drink alcohol, Nepal is one of the cheapest places on the planet to eat. If you buy vegetables and cook yourself, prices are too low to believe. If you eat out, local joints can feed you for a buck or two and even the nicest tourist restaurants are a tiny fraction of what you would pay at home. Drinking beer or wine is really going to cost you though: both are heavily taxed and are a major source of revenue for the government. Walking is free of course and that’s what you’ll be doing most on the trekking routes. Otherwise it’s cheap when you’re in one place, but can be rough going from place to place. Taking a one-hour flight can literally save an entire day of bumpy bus travel with delays. Keep in mind some of these are inflated tourist prices (locals don’t get massages or go to yoga classes) and some are ways to fund rebuilding of shattered temples. Nepal is one of the world’s poorest countries, so after you spent a grand to get there, you’re going to pony up a bit more to help the cause. The Nepalis can really use the help, so this is not a great place to bargain super hard on handicrafts, especially if you’re buying close to the source. Spending locally on goods and services will have more impact than giving to a charity here most of the time. Awesome list, Tim. 50 Rupees to wash and dry a kilo of clothes was an amazing price. Of course I paid a premium to have my laundry done in 4 hours instead of the next day. Il I remember well, I paid 40$ for my 30 days visa. From a different country maybe? US/UK/EU and many others is $25. Yes, you are right for a 15 day visa. The cost is $40 US for a 30 day visa. Ah, okay I edited it to show the two different prices. Thanks. Without an solid internet infrastructure, either wired, or wireless cellular/satellite, Nepal will not be on my short-list of cheapest destinations. The internet was not that bad actually—a lot of it is via mobile at decent speeds. The real problem is the unreliable electricity, which one assumes you’ll need when working from home! Not the Nepal I’ve been in twice the past two years. Every single day there were power cuts, in cheap hotels or at the Soaltee Crown Plaza. The generators were working overtime in both Kathmandu and Pokhara. The only place the power didn’t go out was in the villages that were hardly using any, up in the mountains. One guy who lived there told me he gave up on a plugged-in alarm clock because he had to reset it every day for a month. During the whole trip of 11 days, the last thing that I made note of was the prices of hotels or food we ate and you have everything in black and white. 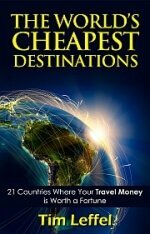 I am sure this will help travellers to plan their trip very effectively and within a budget. Cheap destination but how about the security? I hope you can post more about travelling in this country for more info. It’s more secure than the Philippines (or the USA for that matter) if that’s what you’re asking. Nepal is the nice destination to plan your vacation with your family. Nepal is a beautiful country in the world. Nice blog and such a great information. Nepal is a beautiful and cheap destinations to plan a vacation. Photographs are just amazing. This is the most beautiful country in the world. Just arrived here today. Found a place to stay in Thamel for 1000 Rupees. Asked at a couple of places. Most of them from 1200 and upwards. Beer is expensive. I was in India for a couple of months (mostly Goa) and there the beer was a lot cheaper. Anyway, I got 2 big ones for 200 and 250 Nepalese Rupees each at a shop. The bar prices are scary if you don’t earn USD or Euros. The food was also more expensive than India and Indonesia. Found chicken fried rice across the street for 260 at a local restaurant which was good. The place looks very interesting and busy and I will explore a bit further tomorrow. Thamel is priced for tourists of course, though 1000 rupees is less than 10 bucks these days. Lots of choices for that price in Kathmandu.